The Magpies are kicking off the 2018/19 Premier League season with the perfect 90’s throwback. Along with Tamagotchi’s and sitcoms starring Will Smith, Newcastle football kits have always been incredibly 90’s. 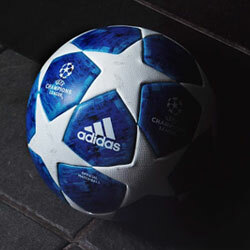 It’s impossible to look at those black and white stripes without thinking of the likes of Les Ferdinand, David Ginola and Alan Shearer tearing up the Premier League; during a time when Newcastle were a much more dominant force in English football. Back then, the Magpies were consistently challenging for titles, swiftly becoming labelled ‘the Entertainers’ as they flourished under the guidance of Kevin Keegan. They became famous for their outrageous home and away kits, with their iconic 95/96 home strip still widely regarded as one of the greatest Premier League kits of all-time. They inspired a city. And now they've inspired our new 2018/19 away kit. But that was a different era, and a lot of things have change on Tyneside in the past 20 years. Ongoing drama with the ownership and questionable transfer decisions have led Newcastle to two separate Premier League relegations, while they haven’t been anywhere near the league title ever since those glorious days in the mid-90’s. After a successful 2017/18 season under Rafa Benitez, however, you get the sense that the Magpies could finally be on their way back to where they belong. Well, their new away kit will make fans feel as though they’ve got there already, because this is going to give the Toon a serious blast from the past. Featuring dark blue and maroon hoops, their 2018/19 away kit is a mirror image of the away strip from that infamous 95/96 season. While the original design may have been created by adidas, it’s great to see Puma haven’t shied away from paying homage to one of the most iconic football kits ever seen in the Premier League. The original design was made all the more iconic thanks to the legendary ‘Newcastle Brown Ale’ logo stuck front and centre. This time, it’s new sponsors Fun 88 that find themselves at the centre of an absolutely gorgeous football kit, displayed in a glorious gold font alongside the Puma logo and Newcastle crest. White shorts and maroon socks complete the look, as Puma celebrate the rich history of this absolutely massive football club. 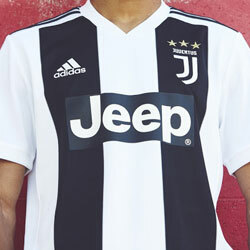 Although they might not have the likes of Shearer, Ferdinand or even Nobby Solano playing for them anymore, you can’t help but feel that the new kit might just help the Toon rediscover their bold identity. 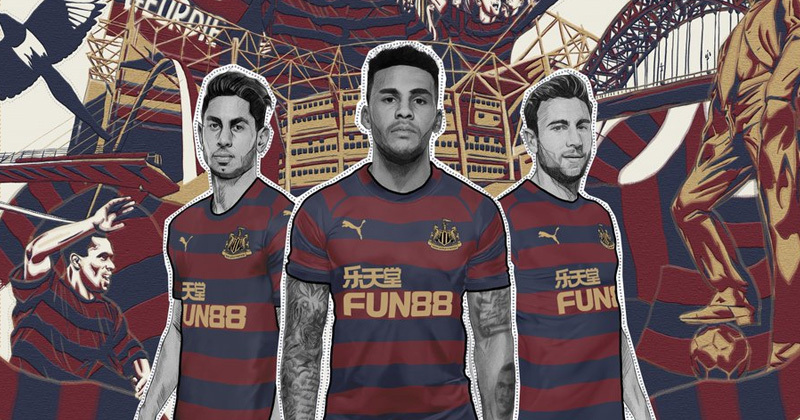 Either way, this new Puma design is bound to go down in the history of Newcastle football kits, and there’s already been a hugely positive reaction from fans. 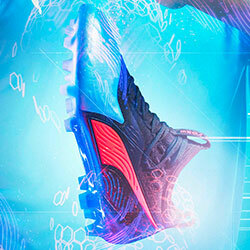 Coming alongside a poster that features current players stood with club legends such as Sir Bobby Robson, David Ginola and Les Ferdinand, Puma have done a fantastic job of ushering in the next generation of ‘Entertainers’. The Newcastle United 2018/19 away kit will be available from 3rd August, when you’ll also be able to compare prices at FOOTY.COM. 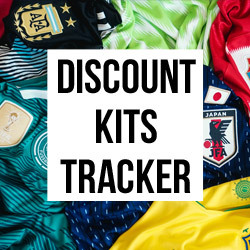 Shop our collection to make a saving on all this season’s football kits, and show your colours for a fraction of the usual price.